By the end of 2017, out of all the technologies that went mainstream, Internet of Things came out to be the best out of all. As per estimations, by the year 2020, around 20 million connected devices will be gathered worldwide with a revenue of $300 billion. IOT is currently working on implementing AI into the real applications. Making a world in which devices work autonomously, instead of getting driven by a set of defined orders. By this year, we’ll see these transformations work in real life. Switching from condition-based system to a machine-learning based system would be a great success for the industry. People are still unaware of the IOT power, it’ll take a little more time to realize its real power in various sectors. 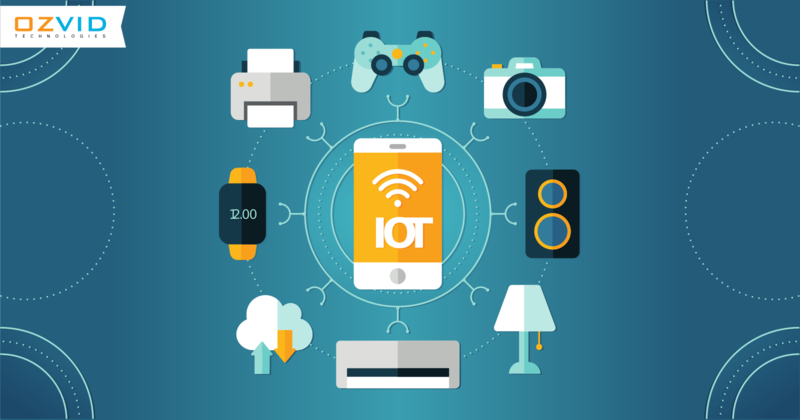 While mobile apps allow you to manage, analyze, and calculate every task related to your business, IOT will allow you to handle these tasks regardless of your location i.e. staying anywhere in the world, and examine your work. Thereby, turning more and more IOT-friendly apps for a better tomorrow. For better growth and optimized sales, mobile apps influence more than the traditional websites. The mobile apps now have more advanced browsing services and offer better buying choices. People would definitely go for an app which works easily on their phone instead of visiting a heavy and slow website. Sharing information via push notification features over a smartphone can be an easy approach towards gaining people’s attraction. Hence, making easy to opt option to reach the audience and share your company’s updates. To spread your identity to a maximum audience, attention from social networks is a must. The plus point of the mobile apps is that they have the like, comment, and share options and thereby getting a strong online presence. Moreover, accessing an app from a mobile gives you a 24/7 flexible access. Integrating the whole mobile app development sector with the IoT concept is not an easy approach. It will take a lot of mind work to get a smooth balance between them. For instance, we might face connectivity issues during this. The IOT friendly mobile apps will have issues connecting to the mobile networks- 3G,4G, and Bluetooth. This is a major concern for now. Moreover, developers might face problem while choosing the platform for the apps as they are not aware of how these IOT friendly mobile apps will look like. With the technology getting advanced, people are demanding more secure solutions. More the complexity, more security-related challenges rise up. In order to safeguard the security and offer more enhanced solutions, the focus will be made on regulating data privacy for better customer experience. Due to the open source services of IOT, Google and Microsoft are offering developers to develop IOT friendly mobile apps. By the end of 2018, IOT will put forward more advanced and better security aspects than the other platforms. Experience the IOT friendly mobile apps!